Not even a Cosmo photospread could save him from Massachusetts demography. Throughout the summer, Elizabeth Warren was having trouble transitioning from liberal icon to successful candidate. Polls showed Senator Scott Brown holding a modest lead, and Warren struggled to deflect harsh criticism of her claim to Cherokee ancestry. But after her nationally televised address at the Democratic National Convention (DNC), Warren has mounted a comeback. Most polls now show her leading with nearly 50 percent of the vote, leaving some wondering how the popular, pickup-truck-driving senator who’s actually from Massachusetts managed to fall behind. A close look at the numbers suggests we shouldn’t be surprised. The real surprise, of course, is that Brown won in the first place. Massachusetts has leaned Democratic since the wave of predominantly Catholic immigrants tipped the scales against Republican-leaning Protestants in the late 1920s. And since that time, relatively moderate, well-educated suburban voters have deserted Republicans in the state, as they have elsewhere. Buoyed by low Democratic turnout in a special election, a weak opponent, and the anti-Democratic wave that swept Republicans to historic victories across the country, Brown won the largest share of the popular vote in Massachusetts of any Republican running for the presidency, governorship, or Senate in 14 years. And what was Brown’s record-setting performance? 51.9 percent. The state’s demographics are just too much for a conservative to bear. Only 17 percent of Massachusetts voters identified as Republican in 2008. That’s barely half the percentage of Republicans in California. As for white evangelical Christians, they make up 4 percent of the electorate, compared with 26 percent nationwide. The Republican route to victory is thus very narrow: a GOP candidate needs to win independents decisively—perhaps by as much as three to one—to prevail statewide. (This is especially true in a presidential year, which draws more Democrats to the polls.) The problem is that many Massachusetts “independents” lean Democratic, as Democratic presidential candidates have reached 60 percent of the vote in every presidential election since 1996. 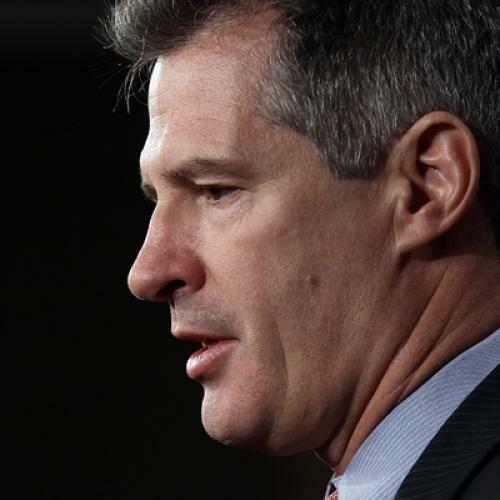 Brown will need nearly 20 percent of Obama voters in November. And that’s going to be hard to come by, no matter how charming he is. The DNC helped nationalize the race, which means that Brown has had to spend valuable campaign time apologizing for, or distancing himself from, GOPers like Todd Akin and even Mitt Romney, whose “47 percent” comment has predictably become a big issue in the Bay State. And if we know one thing about Massachusetts politics, it’s that Republicans don’t have much room for error. Nate Cohn is a staff writer at The New Republic. For more election coverage, check out Nate Cohn’s blog, Electionate. This article appeared in the October 25, 2012 issue of the magazine.